Sir Edmund Hillary’s hand-up legacy helped transform Everest region, by Martin Johnston, Senior journalist, NZ Herald. In the misty damp of monsoon cloud, the monastery trumpets heralded an official opening that would define the legacy of New Zealand’s most famous son. It was June 1961, and Sir Edmund Hillary and his band of mountaineers-come-builders and local people had thrown up a school building at Khumjung village in the Mt Everest region of Nepal. Khumjung is slightly higher than the summit of Aoraki/Mt Cook and on the day of the opening the clouds enveloped it. “As we waited we could hear the muffled sound of trumpets and drums approaching from the monastery, and then out of the murk appeared the procession of the head lama of Thyangboche,” Hillary recorded in the 1962 book he co-wrote, High in the Thin Cold Air. With a mix of Buddhist ritual and Western pageantry, the head lama chanted prayers and Hillary cut a ribbon: the school was declared open – and Hillary had found the vocation of international aid that would occupy much of the rest of his life. Hillary died 10 years ago, on January 11, 2008, aged 88, at Auckland City Hospital, of heart failure. He was born on July 20, 1919, and events are now starting to be planned to mark the centenary of his birth. The composition of a symphony has been commissioned and it will be performed by the Christchurch Symphony Orchestra in 2019. Sir Ed is perhaps best known internationally as having been first, along with Tenzing Norgay, to reach the summit of the world’s highest peak, Mt Everest, on May 29, 1953. Part of the mountain, the Hillary Step, the final hurdle to reaching the summit, was named after him as he was the first to climb it. Then there was his drive to the South Pole on modified farm tractors in 1957/58, the first overland trip to the pole in motorised vehicles, and over the decades the numerous things that acquired his name: a school, an outdoors education group, a Waitakere tramping trail, the South Ridge of Aoraki/Mt Cook, university scholarships, to name a few. But it is Hillary’s humanitarian work in Nepal’s Everest region, the Khumbu, that has made the greatest impact, changing the lives of generations of the local people, the Sherpas. Mahendra Kathet was headmaster of Khumjung Secondary School for 16 years and is now a senior teacher trainer for the Himalayan Trust Nepal, a partner of Hillary’s New Zealand trust. “Small children and the young people they have a very good education in Khumbu region,” Kathet told the Herald. “They are employed in many good jobs in companies, in government jobs and in political appointments and some people are very good community leaders as well. “This is the good impact of education in Khumbu region and this is what Sir Edmund Hillary has done there and this is the legacy of Sir Edmund Hillary. This kind of view is common in Khumbu, where Hillary and his international aid teams functioned like a benevolent alternative to colonisation, empowering the local people rather than extracting value. But for Hillary, it was part design, part accident. The mountain was Makalu, the world’s fifth highest. It had repelled Hillary’s yeti-hunting expedition, nearly killing Peter Mulgrew near the summit and imperilling Hillary who was lower down. Sir Ed was hit by altitude sickness and a minor stroke. He had to get down to lower altitudes, thicker air. “… some of us would never be quite the same again,” Hillary later wrote of the expedition. The idea of building a school was born early in the expedition when, at a campfire discussion, the Sherpas told how they yearned for education for their children. According to Gill, Hillary had expected they would want a hospital. 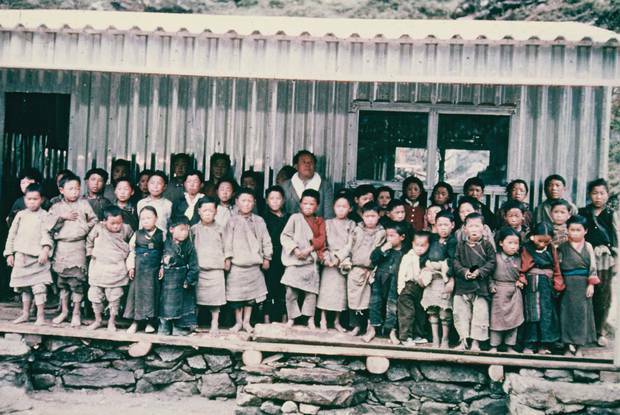 The Sherpa people, who had migrated from Tibet on the other side of the Himalaya ranges several hundred years earlier, had heard of schools being built across the Tibetan border by the Chinese. Hillary later told the elders of Khumjung of his plan to build a school, while he negotiated with them to borrow a supposed yeti scalp to take overseas for analysis. The ancient relic turned out to be from a goat-like animal. The American encyclopaedia company which sponsored the expedition agreed to back the school scheme financially, an Indian company donated the structure for the aluminium building, and the Red Cross flew the loads to a temporary airstrip, from where porters carried them to the village. Hillary was inundated with requests from other villages wanting a school, water supplies, and bridges across the region’s swift, dangerous rivers. In total, Hillary, his Kiwi friends and Nepali people built classrooms in 27 villages that didn’t previously have a school. To that list he added an airfield at Lukla, which arguably triggered the tourist trekking boom that flung the Everest area’s subsistence-farming economy into the 20th century. The fundraising base expanded to another American company Hillary worked with, Sears Roebuck, and to service clubs, schools and private donors, and in the following years, he organised combined aid and climbing expeditions to Nepal. In 1966 the first of two hospitals was built – a number of village health clinics were progressively erected too – and a long association of Kiwi and Canadian doctors with Nepal began. The Himalayan Trust was formed in New Zealand and similar organisations were founded elsewhere. 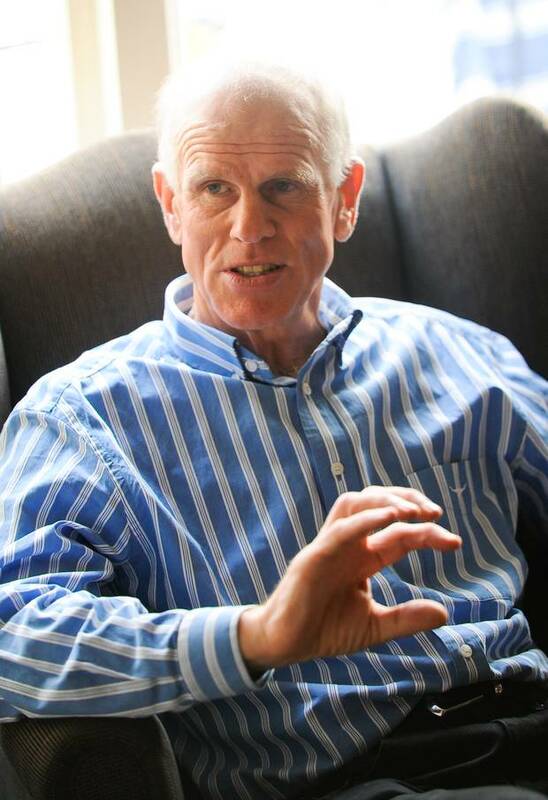 Sir Ed’s son, Peter Hillary, has been a director of the New Zealand trust and is involved with a number of the others. “I’m on the board of the American Himalayan Foundation, the Sir Edmund Hillary Foundation in Canada, I’ve done fundraisers for the UK Himalayan Trust, the German Sir Edmund Hillary Stiftung [foundation], I’m on the board of the Australian Himalayan Foundation, still very actively involved in the work up in Nepal. “It’s really a legacy of Ed Hillary. The interesting thing about it from a New Zealand point of view is how networked Ed Hillary was. They were strong friendships, they were great partnerships, and they evolved into foundations dotted around the world and that network basically came together to benefit Nepal and the Himalayas. Peter notes how radically the Khumbu has changed since his first visit when trekking with his family in 1966 for the opening of Kunde Hospital. They met only one other Western family of trekkers, and the Sherpa men wore traditional cloaks and their hair was plaited. The village of Namche Bazaar had gone from little huts whose roofs were held on by big stones, to double-storey buildings of corrugated iron. His father was “basically the catalyst that enabled them to step outside subsistence farming and become hoteliers or traders in carpets with tourists or guides on mountains”. 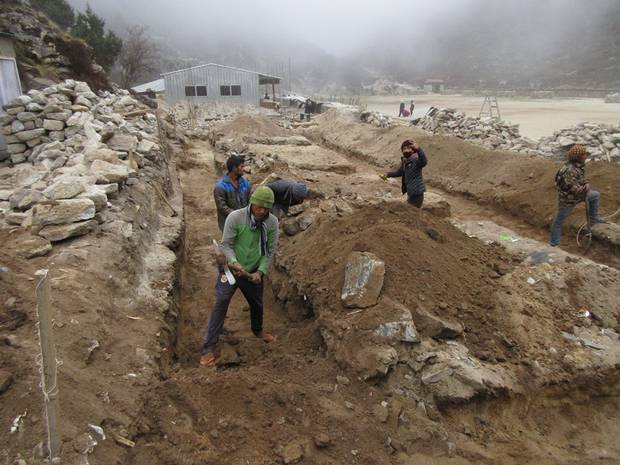 There are different views on the relative contributions of the Lukla airstrip and education to the Khumbu success story. Himalayan Trust NZ general manager Prue Smith credits the airstrip primarily. She said it opened up the Khumbu to tourism and trekking. Tourism is now the biggest income earner for Nepal after remittances from Nepalis working in the Middle East and South Asia. Action for Nepal executive director Lakpa Thering Sherpa in Lukla, home of the airstrip where most tourists visiting the Khumbu region arrive. Photo / Facebook. Lakpa Thering Sherpa, 32, is executive director of Action for Nepal, a partner agency of the New Zealand trust in maternal health and literacy programmes . He received his early education at the Hillary school in Lukla. His wife, who works at the agency with him, is a public health specialist and his brother, who lives in the United States, is a senior airline official. 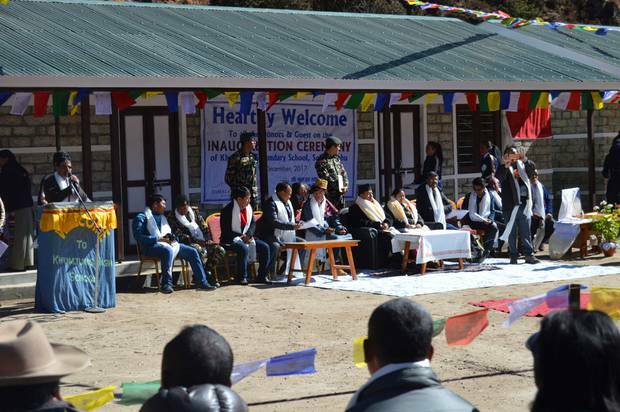 He attributes the revolution in Khumbu Sherpa life to education and points to officials and politicians of the recently-reconstituted Khumbu local government as being among the many alumni of Hillary schools. Nepal remains one of the world’s poorest countries. But within Nepal, Khumbu has become one of the wealthiest regions, said Lakpa Thering. He anticipates that within 15 years, it will be independent of foreign aid, although the adjoining Solu region will still need assistance. For now, however, there is plenty of work for the New Zealand trust to do, since Nepal was devastated by earthquakes in 2015 that killed about 9000 people. The trust is funding most of the cost of building new classrooms or retrofitting and repairing existing ones – 150 in total – at schools in Solu and Khumbu. The affected communities are contributing 10 to 20 per cent in cash, labour or local materials. The project, nearly finished, has involved training Nepali construction workers in how to erect buildings designed to cope better with earthquakes. Much of the Hillary legacy began in building projects. Two others connected to Sir Ed are his family home formerly in Remuera and the huts built in the slice of Antarctica claimed by New Zealand. As part of the 1955-58 Commonwealth Trans-Antarctic Expedition led by Sir Vivian Fuchs, Hillary’s team erected the buildings on Ross Island that established Scott Base, which later became New Zealand’s Antarctic research station. Hillary’s hut at Scott Base was restored last summer. The Remuera house was moved to a South Auckland school, having been donated by a neighbour, Terry Jarvis, who bought the property but did not want the building. Overseen by a trust which aims to preserve the house as a piece of history, the reassembled and renovated building was opened as a leadership centre on the grounds of the Sir Edmund Hillary Collegiate at Otara in 2014. The project struck council planning hurdles, delaying its fundraising and development of leadership programmes, although it has hosted groups of school students and others. One group who stayed overnight were the tractor team on their expedition from Auckland to Aoraki/Mt Cook village to raise money for the restoration of the Antarctic hut. 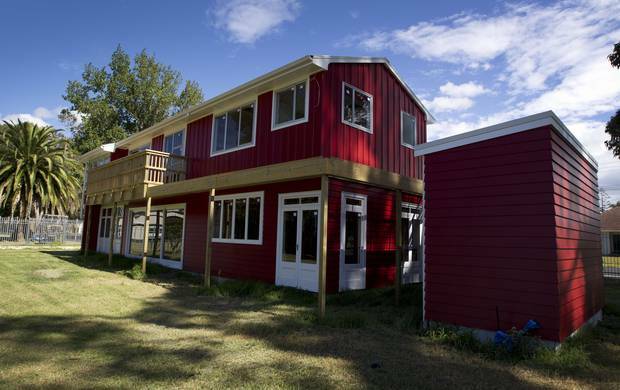 Trust chairwoman Robin Houlker said it was hoped the house could become a Hillary museum. It already contained some Hillary memorabilia, including framed British newspapers from 1953 and scarves Sir Ed had worn in India, where he was a New Zealand High Commissioner in the 1980s. She hopes to get the house included in the Auckland Heritage Festival. Peter Hillary, who has been to the house in Otara several times, is full of praise for the development. He suggests that to avoid the problems of protecting historic items, replicas be made of things now held in Hillary family or museum collections that once hung in Sir Ed’s study, such as his 1953 KBE knighthood document signed by the Queen, a photo of Mt Everest taken from space by a Nasa astronaut and a large picture painted by a Sherpa. Read the original article on the NZ Herald website.